Do you want to know the admission procedure of Mohammediya higher secondary school, Rampura for the academic year 2018-19? This article provides you with the detailed procedure and important dates of admission to the Nursery class of Mohammediya higher secondary school, Rampura. 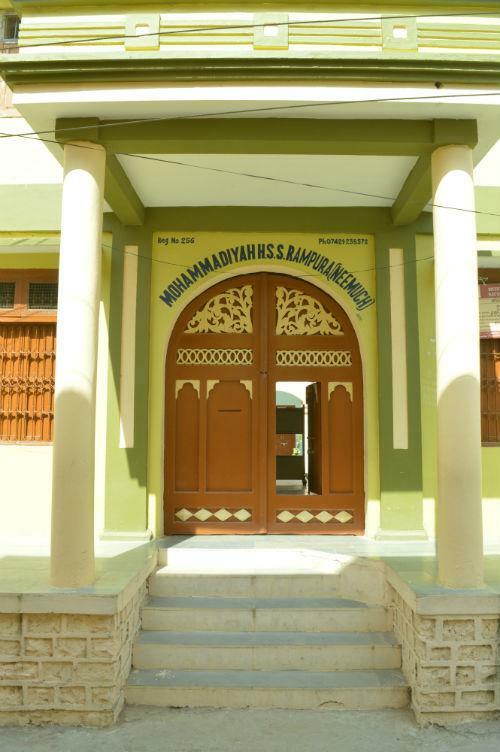 Mohammediya Higher Secondary School, Rampura is the oldest private school in Rampura. Most of the parents seek admission in MHSS for the betterment of their children. Mohammediya Higher secondary school is situated at Navapura Mohalla, Ward number 7 of Rampura. Mohammediya higher secondary school Rampura imparts education in English medium from nursery to intermediate. The main streams in intermediate are Science mathematics, science biology and commerce. The dedicated staff is an important asset to the school. All the teachers are trained and are well experienced. The school gives more importance to moral education and discipline of the students. The Xseed education course up to standard IV is the main feature of Mohammediya H. S. School, which is not available in any other school in Neemuch district. Xseed Maxx audio-visual classes for Mathematics and Science every week will be conducted from this session. Every month, the parents will be informed about the progress of their students. A well-furnished digital library is available in the school. The timetable is arranged in a such a ways that every student should go to the library and read the books. The student has to present the summary of any two books at the end of the session as the project work. Well equipped separate laboratories for physics, chemistry and biology are present in the school. Students go to laboratories and do practice daily. There is a big playground behind the school building where students play different games like Kabaddi, Kho-kho, etc. Table tennis tables and a Badminton court are available in Mohammediya higher secondary school which is not available in any other school of Rampura. The total vacant seats in Nursery is 28. 7 seats are reserved for the RTE quota and these 7 seats are filled by the government through the online lottery process. The other 21 seats are filled by school management. The students must have attain 3+ years as on 31 June 2018. There is no test for the admission. Admission is on first come first serve basis. The parents must be residents of Rampura. After submitting your form along with the above documents and admission fees, the admission will be confirmed. Last date of submission form : 15 June 2018. Mohammediya Higher Secondary school is the oldest private school of Rampura which imparts education in English medium. If you are seeking a seat for your kids in this school, please visit the office on the first day of the admission. Generally, admission is closed within a couple of days due to the limited number of the seats.